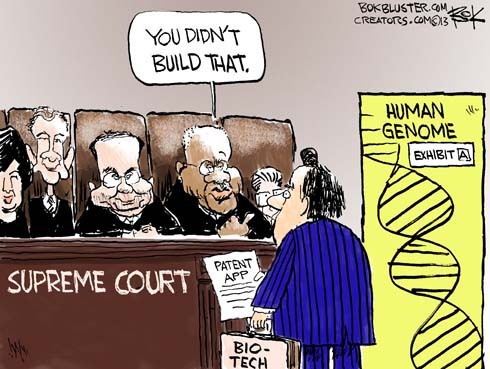 The Supreme Court ruled unanimously that natural human DNA cannot be patented. On the other hand, the court says you can patent unnatural manmade genetic material. When the patent runs out will there be generic genetic material?